I understand that if my child is aged 13 or over, they have exceeded our age limit and will not be permitted to attend any of our courses. This age restriction narrows our age categories and enables us to keep our courses as safe as possible, reducing the risk of injuries. Therefore, I understand that it’s my parental obligation to provide the correct date of birth for my child when processing my booking. I understand that P.F.S. adheres to a zero-tolerance policy towards bullying and foul language. I acknowledge that my child may be removed from a course without refund, should they refuse to fully comply with this policy. P.F.S will work closely with the parent / carer of a child in need of understanding our behaviour expectations. AS THE PARENT / GUARDIAN COMPLETING THIS BOOKING, I UNDERSTAND THAT ALTHOUGH A THOROUGH RISK ASSESSMENT IS ADHERED TO BY P.F.S. 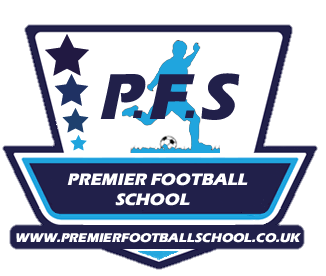 TO PREVENT INJURIES (SHIN PADS / SAFE FOOTWEAR / SAFE EQUIPMENT / ENCOURAGING PLAY WITHIN THE RULES, ETC), FOOTBALL IS A CONTACT SPORT AND NO RESPONSIBILITY WILL BE TAKEN BY P.F.S. FOR INJURIES SUSTAINED AT P.F.S. HOWEVER, I GIVE MY PERMISSION FOR INJURIES TO BE TREATED BY QUALIFIED FIRST AIDERS – OR HIGHER MEDICAL CARE IF NECESSARY; I UNDERSTAND THAT P.F.S. SHALL NOT HAVE ANY LIABILITY IN RESPECT TO LOSS / DAMAGE TO THE PROPERTY OF THOSE WHO ATTEND; I UNDERSTAND IN THE UNLIKELY EVENT OF A COURSE BEING CANCELLED DUE TO EXTREME WEATHER (E.G. HEAVY SNOW), REIMBURSEMENT WILL BE IN THE FORM OF A CREDIT NOTE VALID FOR ANY P.F.S. COURSE. I ACCEPT THAT ONCE MY CHILD HAS STARTED A COURSE, REFUNDS WILL NOT BE ISSUED IF THE CHILD DOES NOT WANT TO FINISH THE COURSE. I UNDERSTAND THAT I AM EXPECTED TO RESPECT SOCIAL MEDIA PRIVACY LAWS WHEN TAKING PHOTOS OR RECORDING VIDEOS OF MY CHILD AT P.F.S. COURSES. I UNDERSTAND THAT MY CHILD WILL NOT BE ALLOWED TO USE FOUL LANGUAGE OR MAKE LIFE UNPLEASANT FOR OTHER CHILDREN AND P.F.S. HAVE THE RIGHT TO REMOVE MY CHILD FROM A COURSE WITHOUT ISSUING A REFUND SHOULD THEY IGNORE THESE RULES AND CONTINUE TO BREAK THEM. I UNDERSTAND THAT LOST PROPERTY NOT CLAIMED WITHIN THREE MONTHS WILL BE GIVEN TO CHARITY.